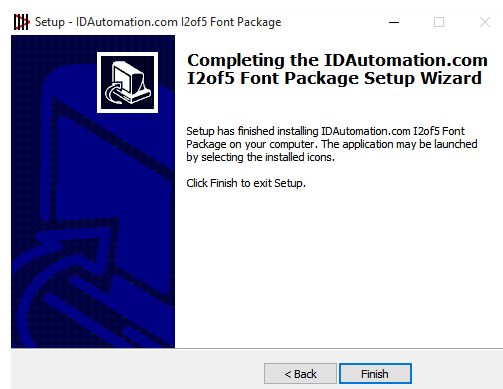 How do I install the I 2 of 5 Fonts on Windows? 1. Download the Interleaved 2 of 5 Font Package Demo or Sale version. 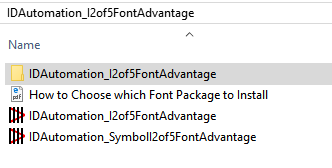 The example displays the sale zip file named IDAutomation_I2of5FontAdvantage.zip. 2. 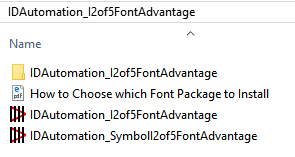 Right-click the zip IDAutomation_I2of5FontAdvantage.zip and select Extract All. 3. 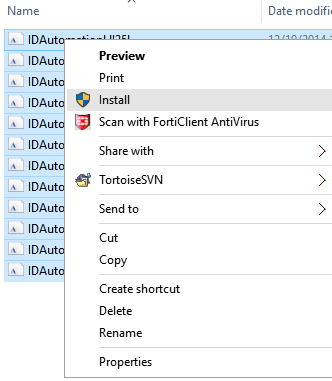 Once the process has completed, a folder will open with a folder named IDAutomation_I2of5FontAdvantage and a file named IDAutomation_I2of5FontAdvantage.exe. 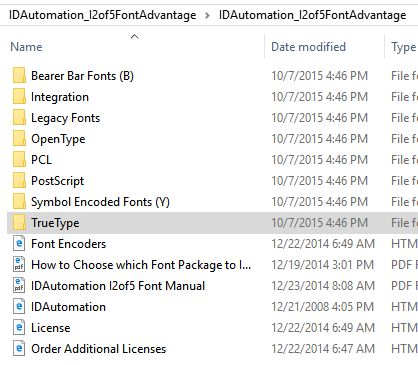 (1) Double-click the IDAutomation_I2of5FontAdvantage folder. 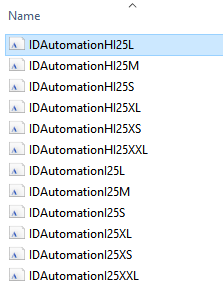 NOTE: Data for Interleaved 2 of 5 requires an encoder to format the data before applying the barcode font.